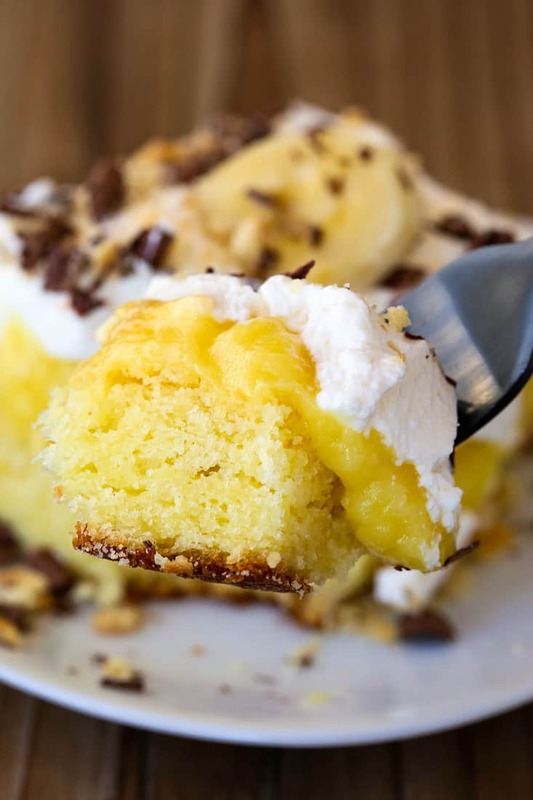 Whip up this Banana Bourbon Poke Cake for any special occasion! 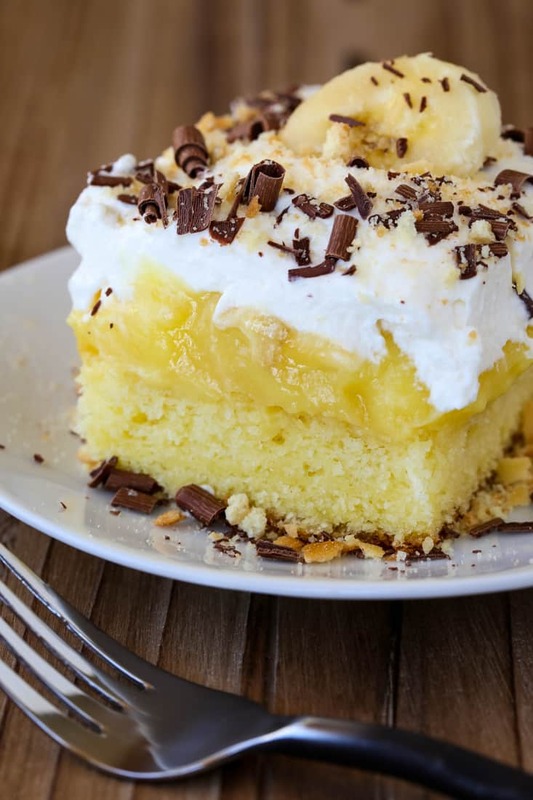 This boxed caked recipe can be made ahead of time so it’s ready for the party when you are! It’s the last day of Dessert Week and we’re ending it with a shot of bourbon! I know you’re going to love! OK so to be honest, I’ve never made a poke cake recipe before. Have you guys? I know these poke cake recipe are super popular, and now that I’ve made this Banana Bourbon Poke Cake I can see why. 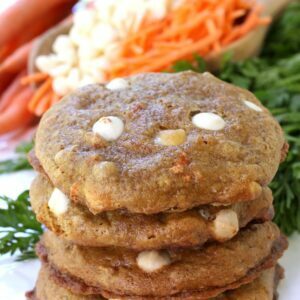 Not only are poke cakes super easy to make but they are super tasty to eat. All that pudding and whipped cream on top of and oozing out of a delicious cake? I’m in for those flavors, that is definitely my jam. A poke cake is literally a cake that you poke full of holes. Why would you poke holes in a cake? 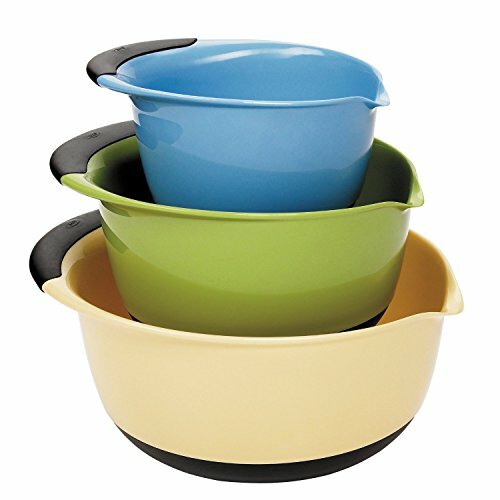 Too add little flavor pockets that will fill up with delicious bites of pudding and whipped cream and whatever other flavor combinations you’ve got going on. Poke cakes are definitely a make ahead recipe and if you have time to make it ahead, you should. The cake will become really moist by absorbing the pudding and whipped cream and become so much more delicious. 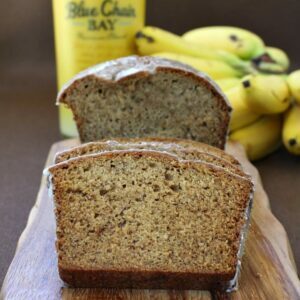 But if you only have time to make this Banana Bourbon Poke Cake recipe and serve it, it’s still going to be top notch tasty. 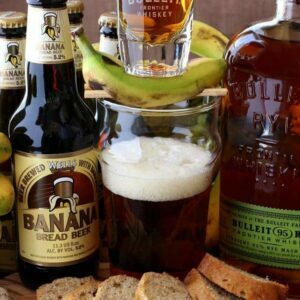 I combined some of my favorite flavors in this easy dessert recipe, banana, whipped cream, vanilla and bourbon. Simple flavors, simple dessert recipe, simply amazing. How Do You Make A Poke Cake? Start of by making a boxed cake, for this recipe I used a Butter Golden Cake mix. Make the cake according to the package directions and let cool. 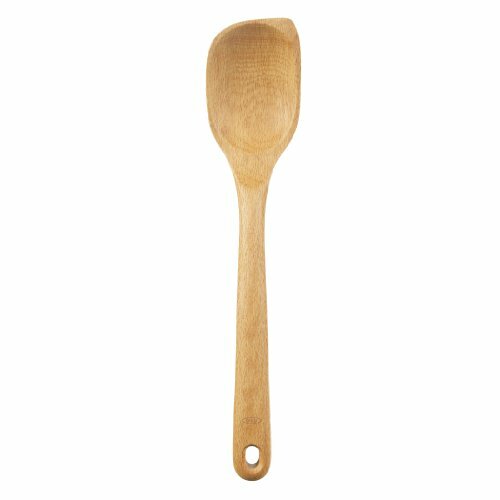 Next, using the end of a wooden spoon, poke several holes in the cake. Now pour the pudding layer, in this case banana pudding with a splash of bourbon, all over the top of the cake. The pudding will seep down into the cake, filling up all the holes. The top layer is typically whipped cream which you can make yourself, like I did, or grab it from the store. Cool Whip topping would be great on top of a poke cake! Then cover and refrigerate. If you don’t have time for your poke cake to chill, no worries, it’s still going to taste amazing. But take advantage if that time that this Banana Bourbon Poke Cake will sit in the fridge and get it done ahead of time if you can! We made this cake for one of our Thanksgiving desserts and I have to tell you – it was a hit with everyone! There were all the other favorite desserts on the table that everyone ate, but seconds went to this banana poke cake! Such an addicting dessert recipe, you really can’t stop eating it! 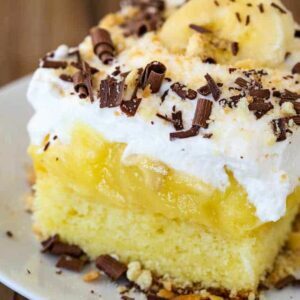 Make this Banana Bourbon Poke Cake anytime you need an easy dessert recipe! 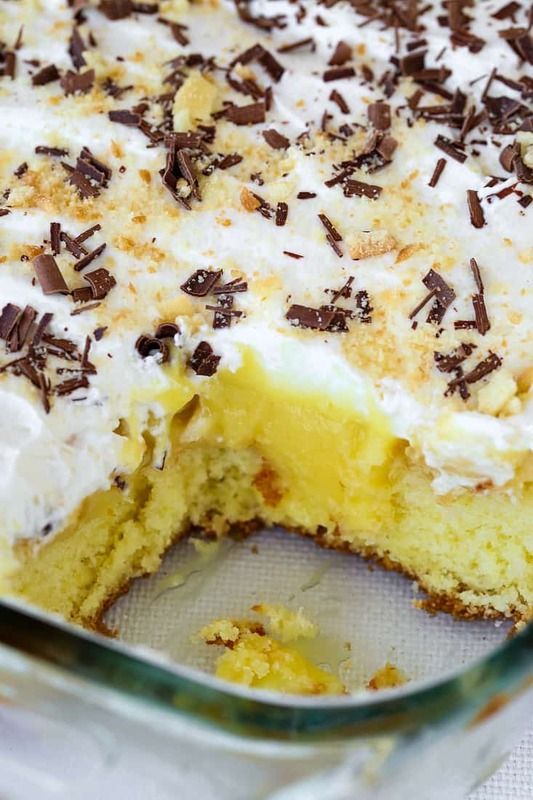 Since this is a make ahead dessert recipe, it’s the perfect party dessert! 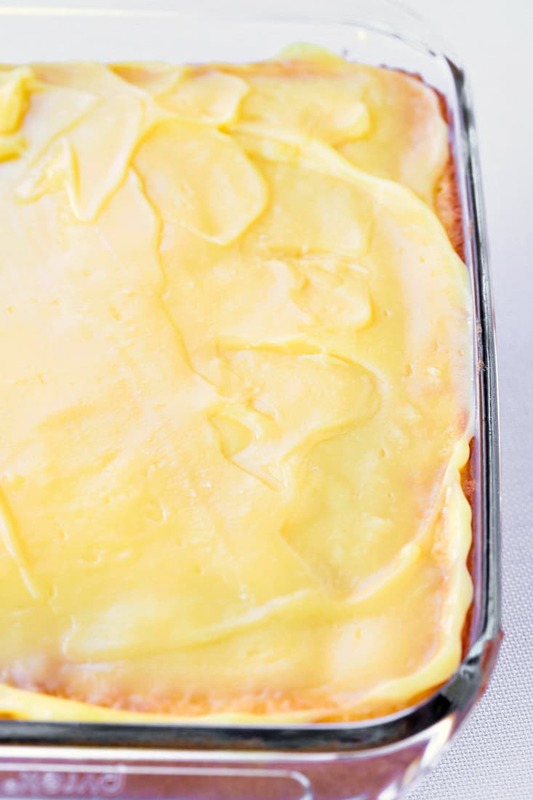 A delicious, super moist dessert recipe that starts with a boxed cake mix! 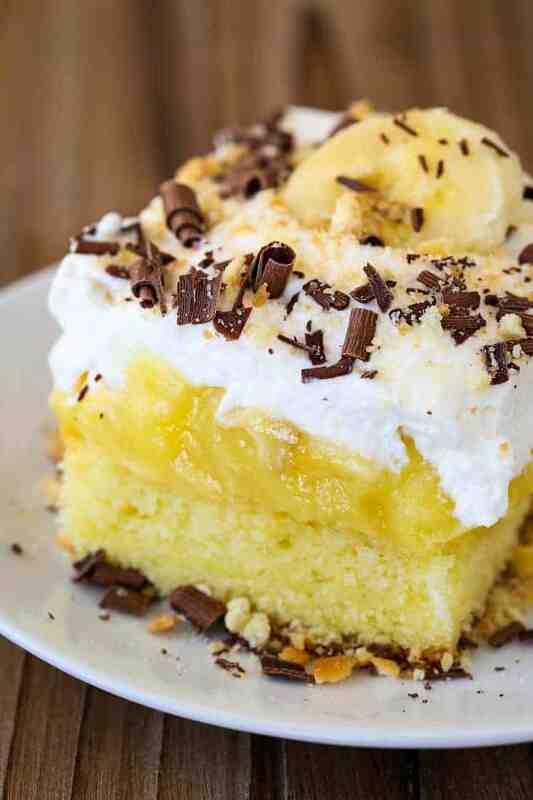 This poke cake is flavored with bananas and bourbon for a real party dessert! 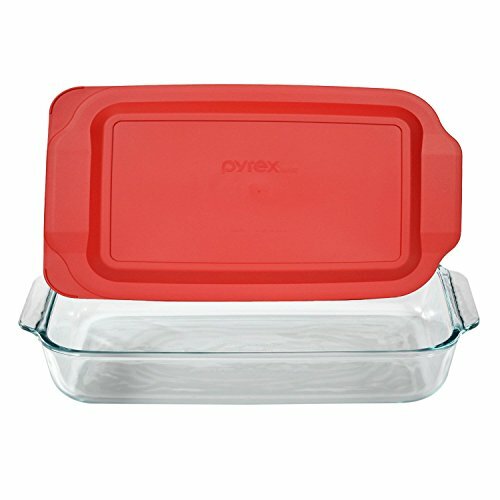 Prepare the cake according to the package directions, using the 9″ x 13″ baking dish instructions. Bake for 25 minutes, remove from the oven and cool. While the cake is baking, pour the instant pudding into a bowl. Whisk in the milk and let sit at room temperature to thicken. In another bowl, beat the heavy cream with the vanilla extract and sugar until stiff peaks form. Once the cream is firm, beat in the bourbon until it’s just mixed in. Poke holes in the cake with the end of a wooden spoon. Pour the pudding over the top of the cake, spreading evenly. 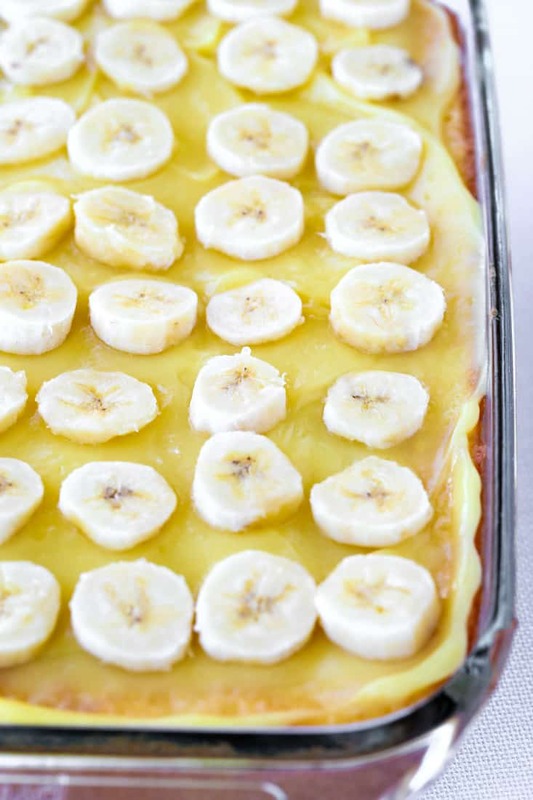 Layer the banana slices on the top of the pudding in a single layer. Add the whipped cream on top of the pudding layer, spreading out evenly. Top the cake with the shaved chocolate and crushed vanilla wafers. Cover and refrigerate for a couple of hours or up to overnight, then serve.